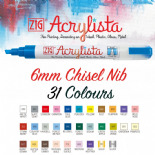 Zig Acrylista 6mm chisel tip water based acrylic paint markers. 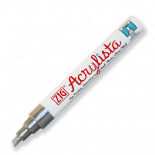 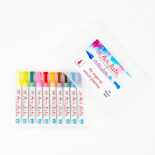 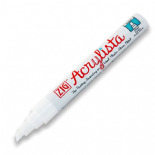 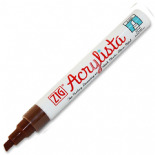 Zig Acrylista 6mm paint markers come in 31 colours and are permanent on most surfaces but can be removed from non porous surfaces like glass, some chalkboards and some plastics using a chalkboard cleaner. 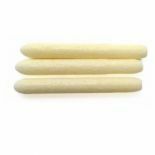 They can be used on plastic, paper, wood, glass, ceramics and lots of other surfaces.